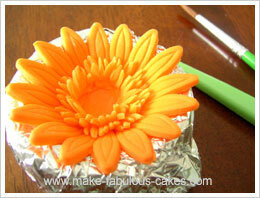 Gum paste gerbera flower is one of my favorite flowers to make. Gerber flowers are amongst my favorites in real life too. They are cute and bright and they just spell F-U-N whenever they are used for an arrangement. 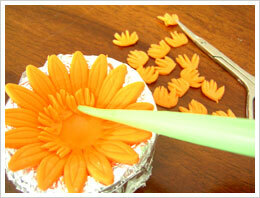 I use a special daisy cutter from PME that makes the process of making gum paste gerber daisies easier. This special cutter not only cuts the shape, it also embosses at the same time. Colour gum paste to desired shade. For this, I made it a bright orange. 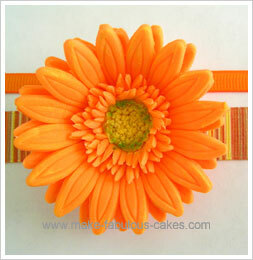 Gerbera flowers comes in a lot of bright pinks, oranges, yellows and reds. Dust work surface with cornstarch so that gum paste would not stick to it. 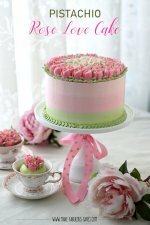 Roll out the gum paste to as thin as you can manage. 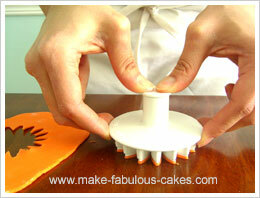 What I like to do is to place the gum paste on top of the cutter and pass the rolling pin over it to cut it. I find that this way makes a cleaner cut than just rolling it and cutting it from there. 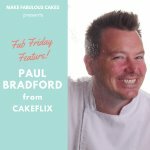 I used the palm of my hand and pressed it against the cutter to clean the edges better. 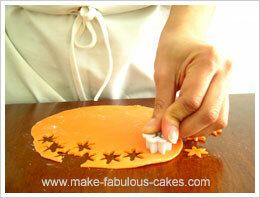 Invert it to the work surface, press the embosser down, then lift the cutter and push to release the gum paste. Since I don't have a lot of formers, I make more by using aluminum foil. 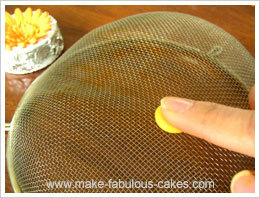 I cut a piece of foil an wrap it around the formers. 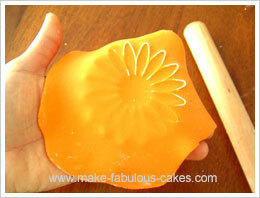 I place the cut gum paste on it, let it dry a bit and carefully take the flower formers out. The foil will hold its shape. 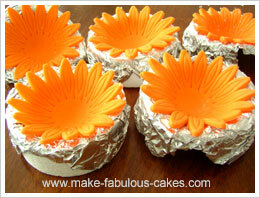 Be careful though at this point not to move the flowers in the foil too much. 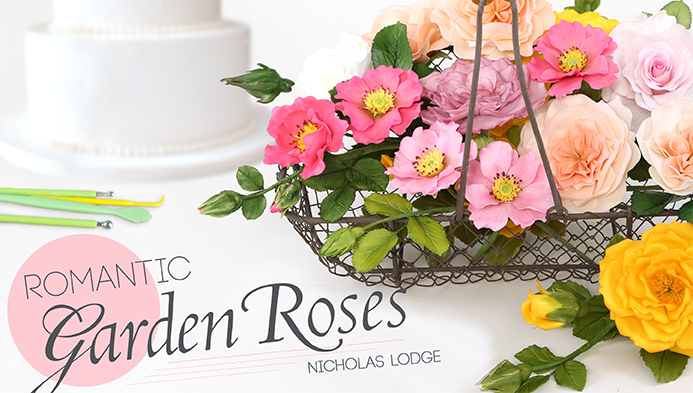 Using a metal spatula, carefully lift it up and place on top of flower formers. 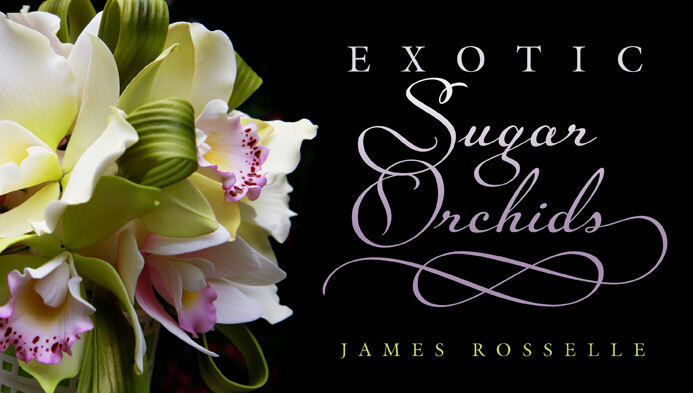 Brush some gum glue in the middle of the flower. Repeat and make another one to place on top of the first. 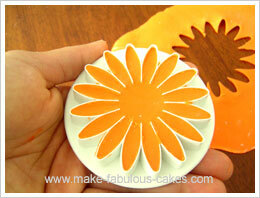 Gently press the flower in the middle. 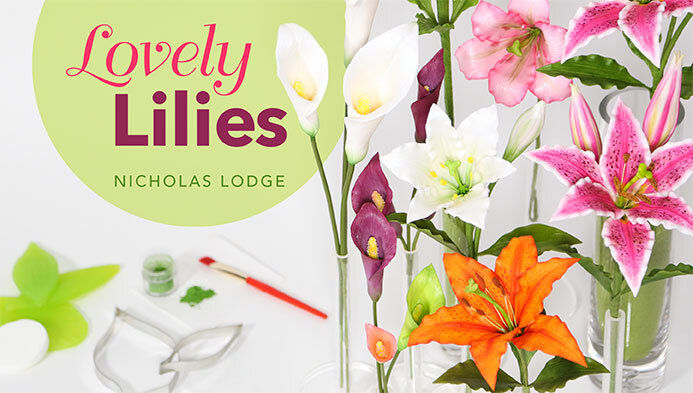 Prop up some of the petals by placing pieces of paper towels or cotton in between petals. Let dry. 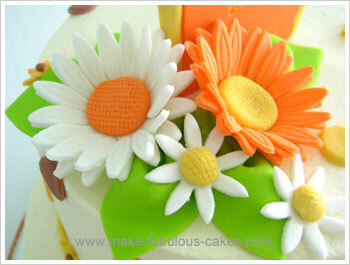 Roll out the gum paste again and this time using the small daisy gum paste flower cutter, cut a few small daisies. 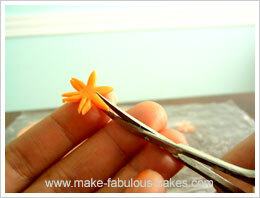 Using a fine brush, brush the insides of the flower with gum glue or water. Press in the small half daisies all around. 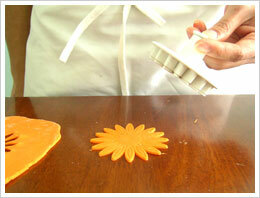 Repeat and make another row of small petals. 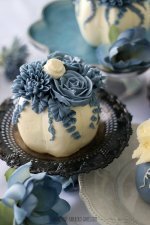 Take a small ball of a different color gum paste, in this one I used yellow, and press it against the metal sieve to create texture. Place in the middle of the flower. Create more texture by making some more cut marks on the top. 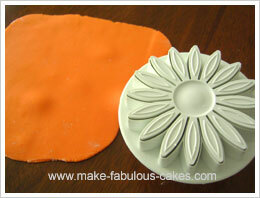 Dust the middle with some petal dust if desired. Let it dry for at least a day but more is better. 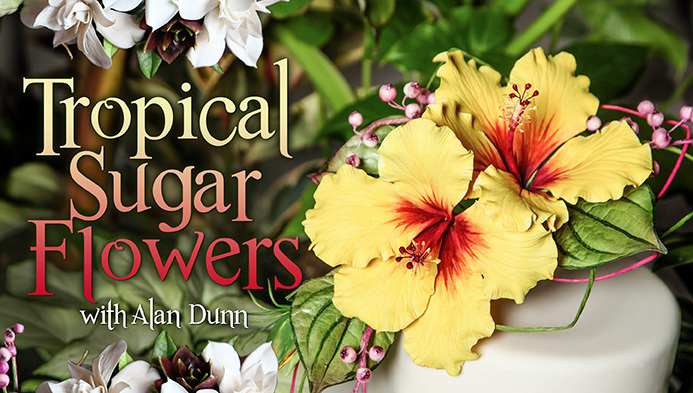 This flower is a bit fragile because of all the petals. 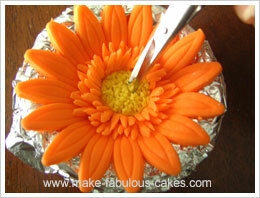 So, the longer the gum paste gerbera flower dries, the better. 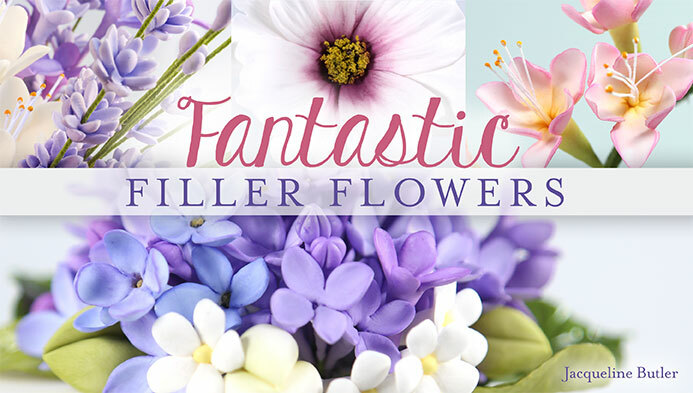 You can simplify this flower by skipping the step of making the small petals on the inner side of the flower. 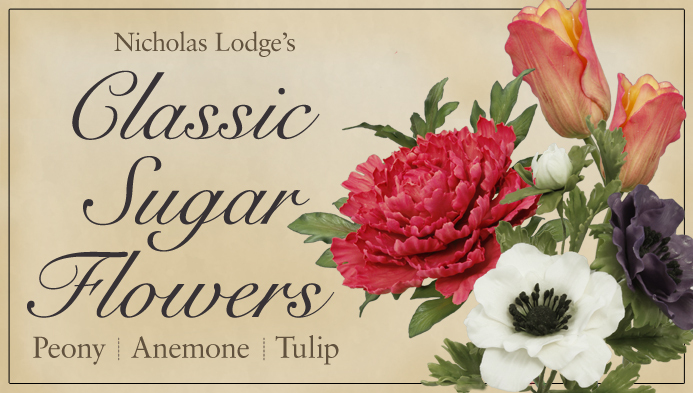 Just make the two sets of petals, then add the the textured center.